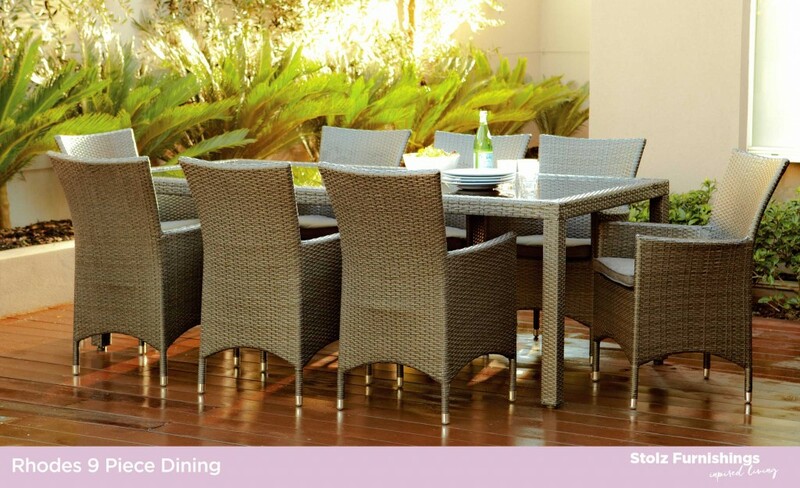 The Rhodes Wicker outdoor range comes with an aluminium frame and a charcoal blend fabric. For further details, see in-store. 3 Years Structural warranty on Aluminium and 2 Years warranty on Wicker.